Punish Kellyanne Conway. Do it now. She broke the law on live TV. White House Counselor to the President Kellyanne Conway waits for the arrival of Trump in the Roosevelt Room at the White House on Jan. 31 in Washington. In the catalog of horror and national humiliation that constitutes the first 20 days of Donald Trump’s presidency, Kellyanne Conway’s squalid shilling for Ivanka Trump merchandise is a fairly small thing. It pales beside the stories of families torn apart by Trump’s executive order on immigration; the botched raid in Yemen; Trump’s refusal to extricate himself from his labyrinthine conflicts of interests; his ostensibly “lighthearted” threat to invade Mexico; his idiotic feud with the prime minister of Australia; his elevation of conspiracy-obsessed white-nationalist cranks to the highest levels of government power; and the numbing fusillade of lies about matters both grave and petty that issue from his administration every day. Nevertheless, it is rare—even, so far, under Trump—for a high official to unambiguously violate the law on national television. Conway’s transgression may not be terribly serious, but the urgency of holding her to account is. An employee shall not use his public office for his own private gain, for the endorsement of any product, service or enterprise, or for the private gain of friends, relatives, or persons with whom the employee is affiliated in a nongovernmental capacity, including nonprofit organizations of which the employee is an officer or member, and persons with whom the employee has or seeks employment or business relations. There is simply no question that Conway was endorsing Ivanka Trump’s product. 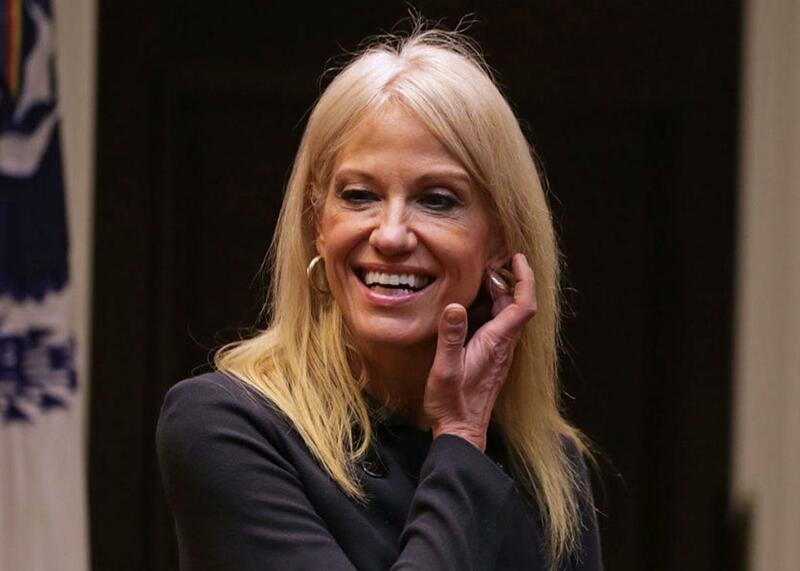 It’s so blatant, in fact, that House Oversight Committee Chairman Jason Chaffetz, a Republican, told the Associated Press on Thursday afternoon that Conway’s behavior was “wrong, wrong, wrong, clearly over the line, unacceptable.” He said that he and Democratic Congressman Elijah Cummings were sending a letter to the White House and the Office of Government Ethics asking for an investigation. Ultimately, though, unless Congress wants to open an investigation itself, disciplinary action against Conway would have to come from the White House or the Department of Justice, and it’s not clear that either would put the law above loyalty to the Trump family. The Office of Government Ethics can write a letter recommending some sort of sanction, but according to Noble, it doesn’t see itself as an enforcement agency. “The system is based on the assumption that people are going to want to follow the law or enforce it,” he says. In 20 days, this administration has exploded that assumption. “They are stress-testing our democracy,” says Noble. “What happens if the administration just refuses to follow the laws and Congress doesn’t want to do anything about it?” We might be about to find out. Update, Feb. 9, 6:40 p.m.: Chaffetz and Cummings have sent a letter to the director of the Office of Government Ethics, Walter M. Shaub Jr., requesting a review of Conway’s “unacceptable” statements.